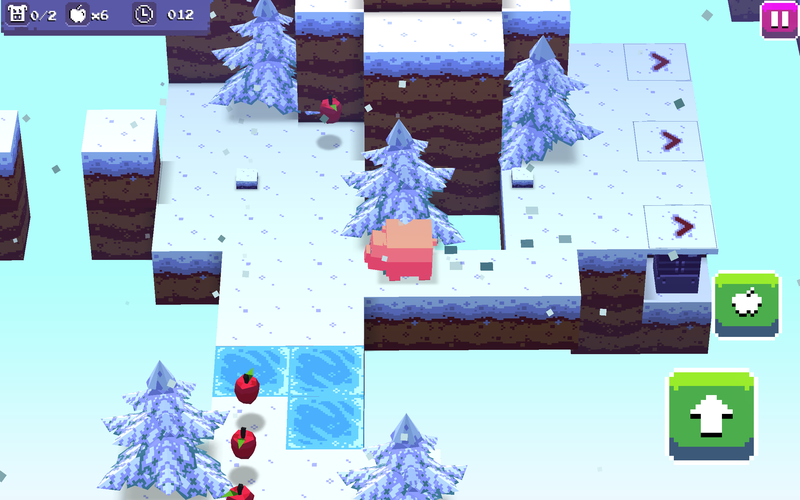 Welcome to the cubic world of Piglet Panic - an action-packed platformer puzzle game, playable for FREE. 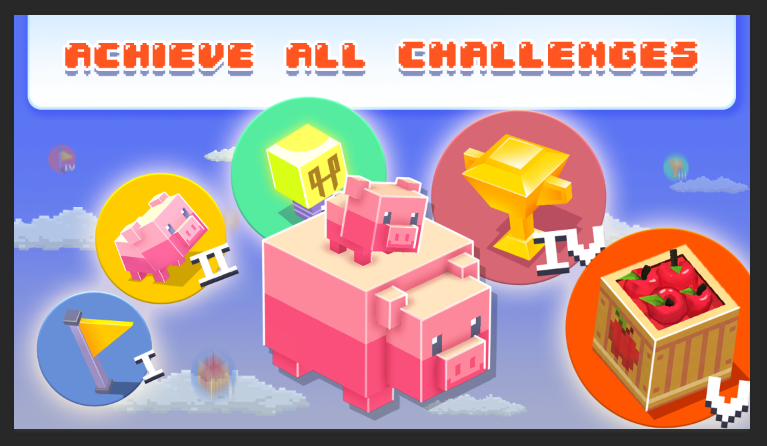 Journey through 60+ levels and get free rewards when you help Mama Pig save her piglets from wolves and traps. 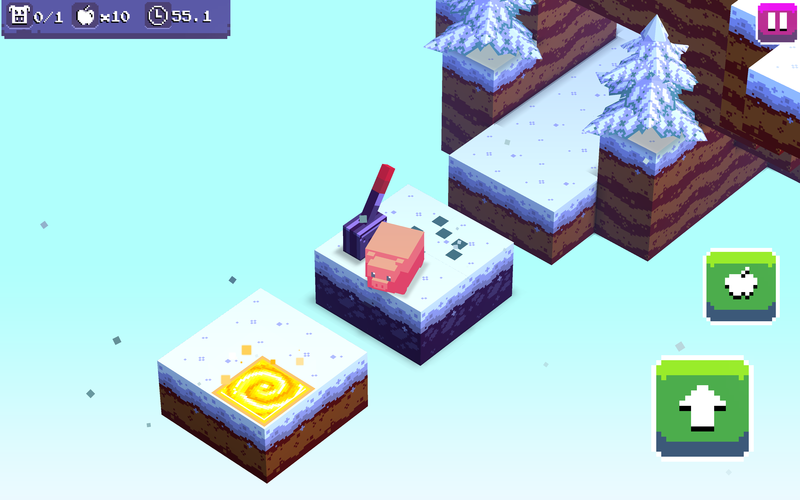 * Play as brave Mama Piggy: use your cunning and wit to rescue your piglets and guide them safely through 60+ levels filled with dangerous traps and mysterious ancient technology. * Jump off catapults, trudge through mud and outsmart the Big Bad Wolves. Explore the Floating Isles and unlock their secrets. Be careful not to pass too close to the rivers, otherwise you could lose one of your baby piglets! 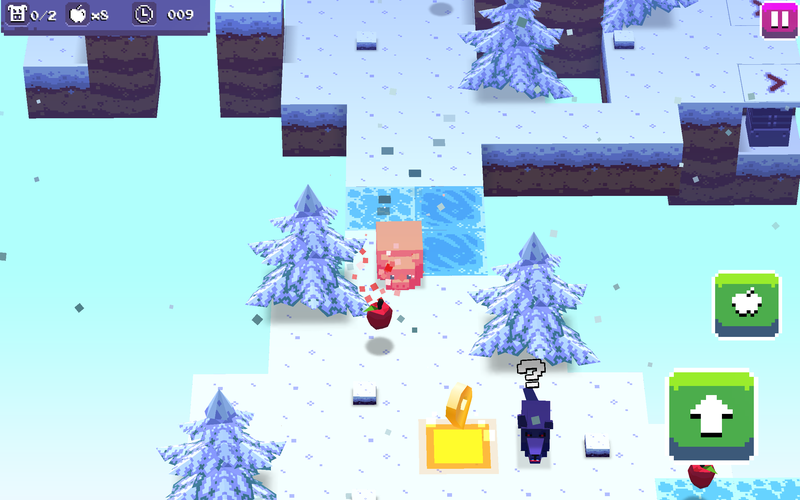 Use the catapult to jump over obstacles and the switch to open up prison to rescue your piglets. Move blocks to reach hidden areas. 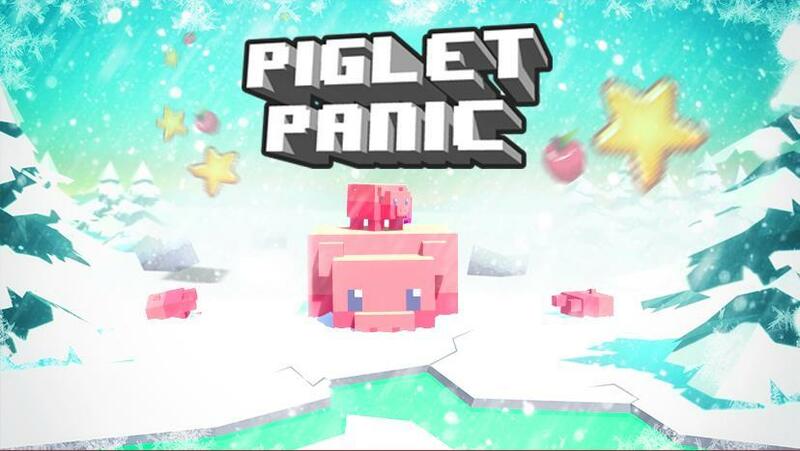 * Play against your pals to see who can save the most piglets, collect the most apples and race against the clock in each level to get the Piglet Panic High Score. 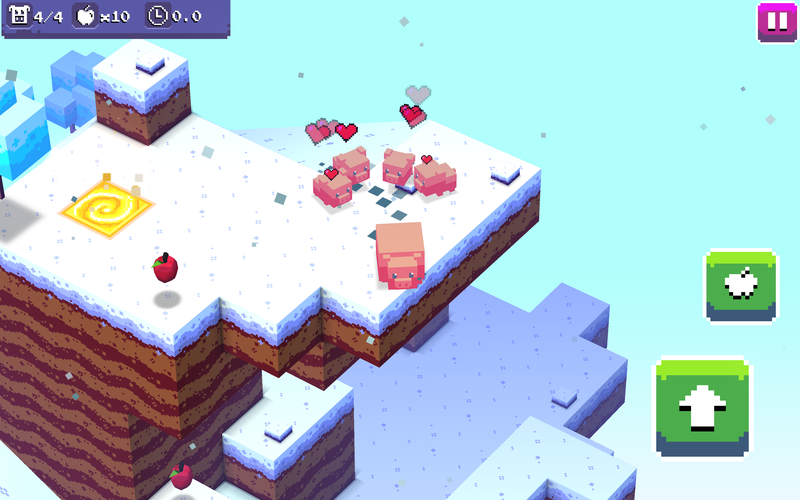 Pro tip: collecting all the Apples and rescuing your piglets in time will give you 3 stars and a free reward. 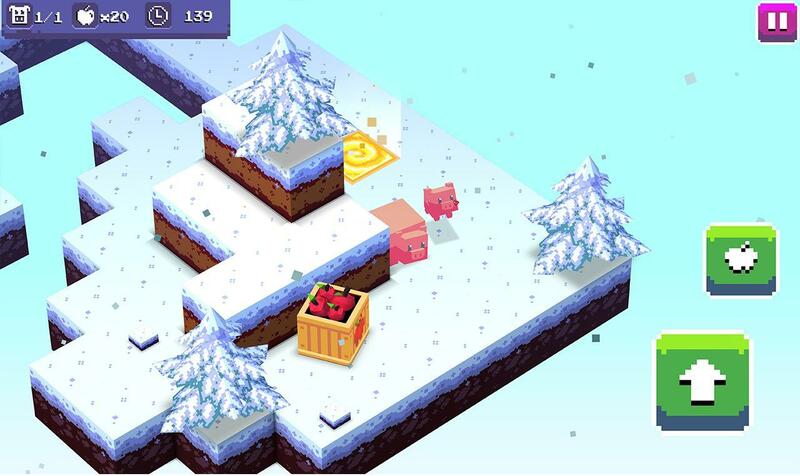 * Use the Level Editor to build your very own epic level and share it with the Piglet Panic community. 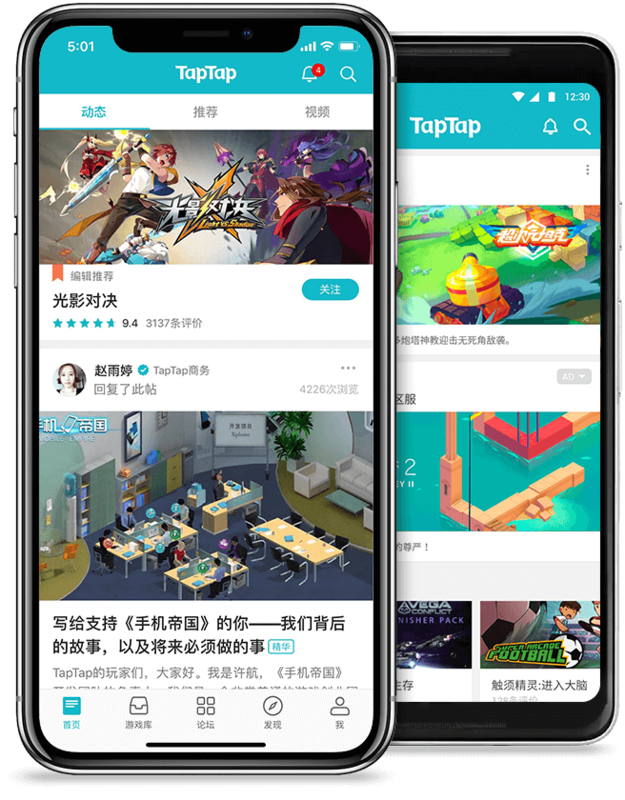 We may even feature your level; the sky's the limit! 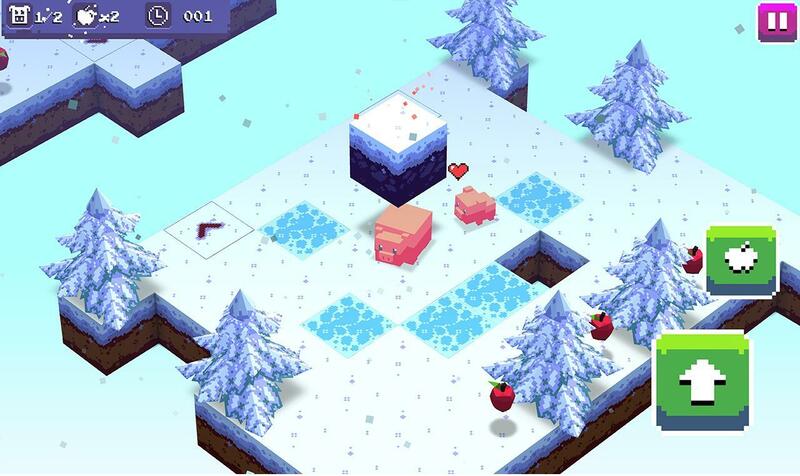 * Switch up your Piglet Panic adventure and play as Mama Chicken. Coming very soon are Mama Cat, Mama Bear and Mama Dog. 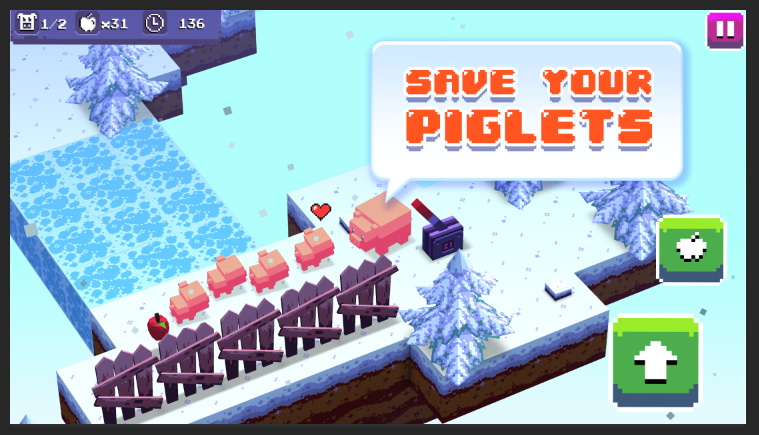 * Protect your piglets all year round: new seasons are coming soon to Piglet Panic! 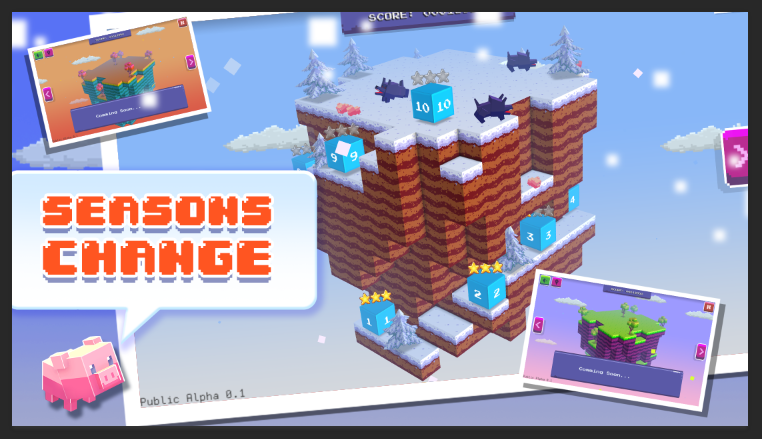 Enjoy summertime adventures and during Christmas, Mama Piggy will wear her Christmas hat! Oink! Oink! Piggy lovers, Mama Piggy is waiting for you. * Hold the bottom left part of the screen to control Mama Piggy. 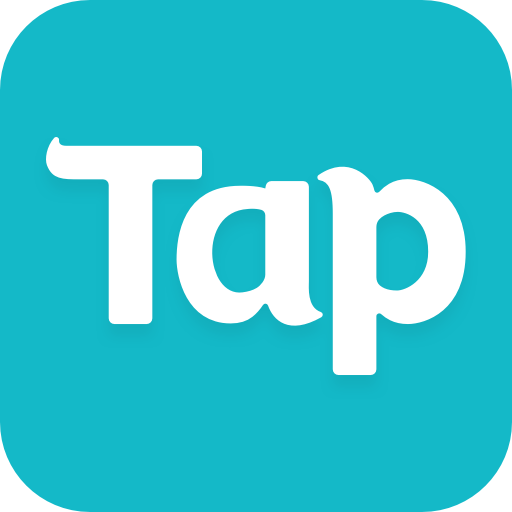 * Swipe right and left at the top of your screen to rotate the camera and discover new elements on the map. 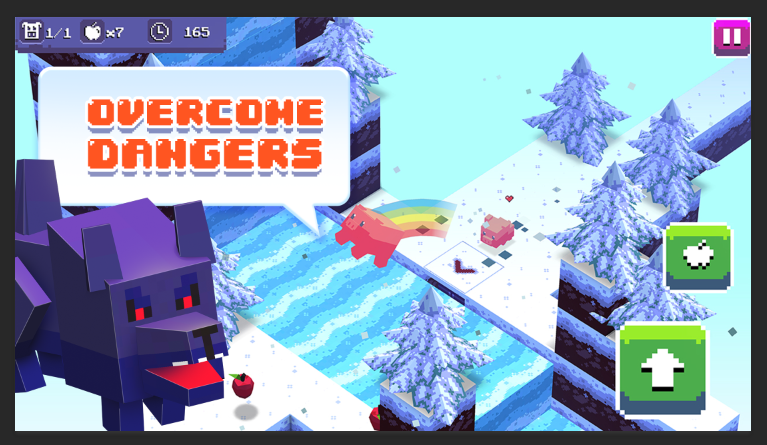 * Tap the APPLE button to make Mama Piggy throw apples. 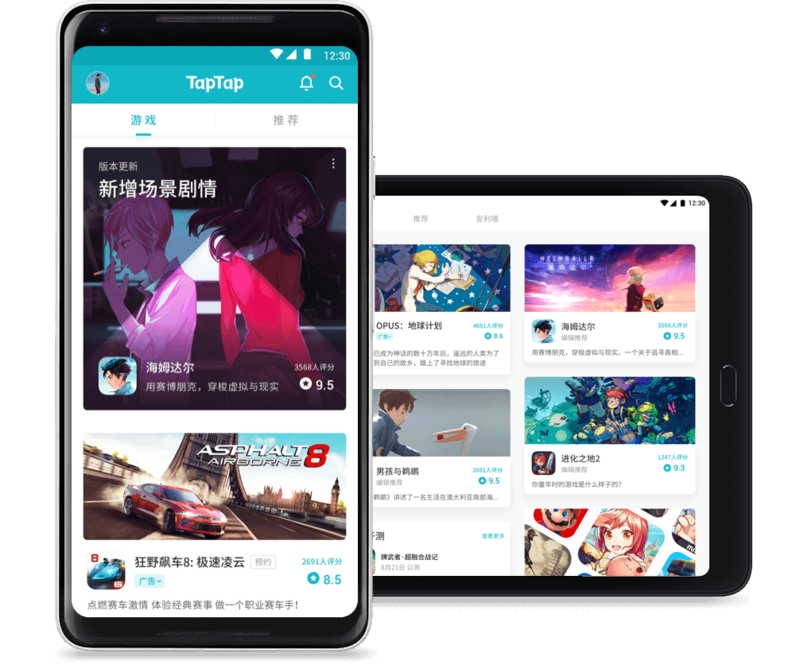 * Tap the JUMP button to make Mama Piggy jump.